Karan Johar has planned a grand birthday party for his twins Roohi and Yash, who will turn two on February 7. The party, as per a DNA report, will be hosted at Mumbai's Taj Land's End. Taimur (Kareena Kapoor and Saif Ali Khan's son), Misha (Mira Rajput and Shahid Kapoor's daughter), Adira (Rani Mukerji and Aditya Chopra's daughter), Inaaya (Soha Ali Khan and Kunal Kemmu's daughter), Laksshya (Tusshar Kapoor's son) and several other kids have been invited to Roohi and Yash's birthday. "They get along well. Many games and activities have been planned for the young ones. The invites were sent out well in advance. Many parents are likely to join their kids too," a source told DNA. Roohi and Yash were born via surrogacy in February 2017. For their first birthday, which was hosted at their home, Karan had invited his close friends only. Alia Bhatt, Kareena and Taimur, Rani and Adira, Shweta Bachchan Nanda, Sidharth Malhotra had attended the party. "Last year, it was a close-knit affair at home as Roohi and Yash were small and Karan wanted to keep it simple," the source added. Roohi and Yash have been named after Karan Johar's parents Hiroo Johar and Yash Johar. Roohi is a rearrangement of Hiroo Johar's name while Yash received his name from Yash Johar. "When I saw them for the first time, I didn't realise there were tears rolling down. I couldn't believe they were two big pieces of me who are staring at me, who are innocent, vulnerable. 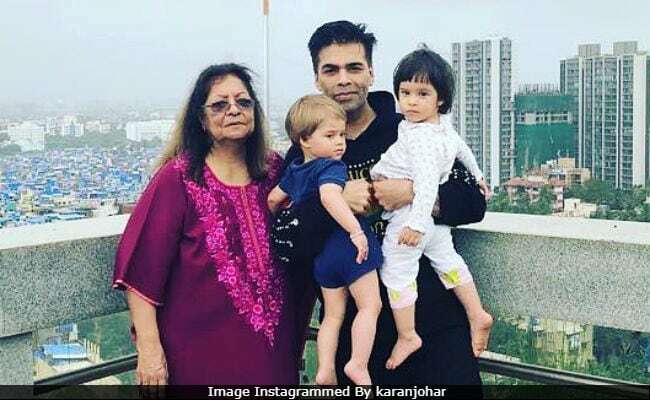 It was the most surreal overwhelming emotion I have ever experienced," Karan Johar told news agency PTI after Roohi and Yash's birth. On the work front, Karan Johar is all set to direct Takht while he is producing films like Kesari, Kalank, Student of the Year 2 and Brahmastra.